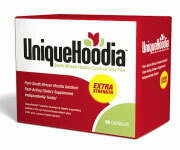 Unique Hoodia is a powerful appetite suppressant designed to help you control your appetite and consume fewer calories. Based on an ancient tribal tradition, Unique Hoodia utilizes the power of the Hoodia Gordonii cactus plant that is native to South Africa. It is believed that, when digested, this natural plant is able to send signals to the brain to tell it that you are full and no longer require any food. This in turn helps you to cut out between-meal snacks and start eating smaller portions at meal times. 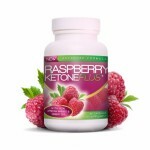 This of course then helps you to lose weight as you are consuming fewer calories. The ingredients of this all-natural product are very straightforward. Unique Hoodia contains 100% natural Hoodia Gordonii (495mg) and a gelatine capsule. There are no additives or filler ingredients. It is recommended that you take 3 capsules a day, 1 at breakfast, 1 at lunch, and 1 at dinner. For this reason a box contains 90 pills so that it lasts a full month at the recommended dosage. It is recommended that you do not take Unique Hoodia if you are pregnant or breastfeeding. Not suitable for vegetarians. All orders of Unique Hoodia are shipped extremely quickly with an untracked free shipping method. Alternatively for even faster and more secure shipping you can choose tracked shipping for a small additional charge. All orders are sent in discreet packaging for your privacy. Every order of 3 boxes or more is covered by a money-back guarantee. Simply use Unique Hoodia for a period of 90 consecutive days and in the unlikely even you do not experience any benefits you can claim your money back (providing your claim is no longer than 180 days following the date of your first order. A one months supply is all you need to start your weight loss journey. However, we do recommend you consider ordering a minumum of 3 months supply so that you can take advantage of the money-back guarantee. To order one or more boxes, simply click the link below.